Volkwagen collision repair procedures can demand body shops use specific repair products with individual VW parts numbers instead of leaving that decision up to the shop or approving multiple third-party brands, Collision Advice CEO Mike Anderson demonstrated earlier this fall. “Volkswagen has very specific products they want you to use on their vehicles. Because they have tested these products,” Anderson said on the webinar, which also featured two VW representatives. Items mentioned on the show as potentially VW-brand-only also included foams, undercoating, seam sealer, weld-through primer, cavity wax and fasteners. 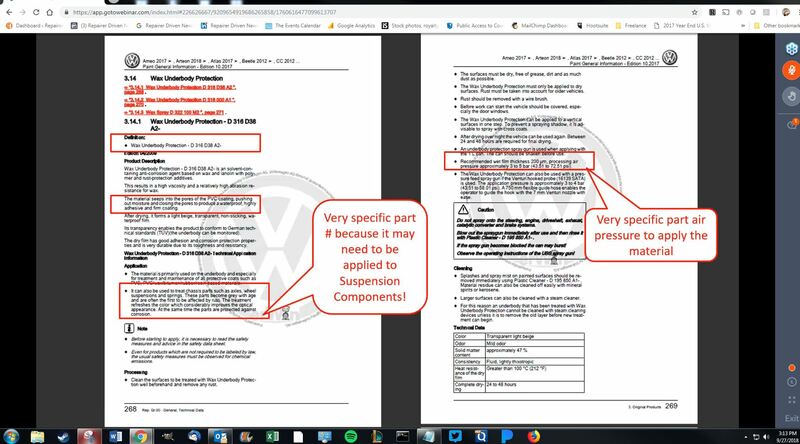 The webinar demonstrated how these specific parts numbers could be found in the VW repair procedures for the specific vehicle you’re using — and shops should note Anderson’s stressing that corrosion protection might be located in the OEM’s instructions for painters, rather than in the body-related pages. Anderson noted that buying such products from Volkswagen dealers produces an invoice, which could be shown to an insurer as documentation and help a collision repairer get paid. Perhaps the most crucial for repairers and insurers to note is structural adhesive. He also advised shops to check VW-specific items for an expiration date, for VW will include them on packaging like cartridges or cans. A material left sitting too long on a shelf might have expired by the time a shop needs it, he said. 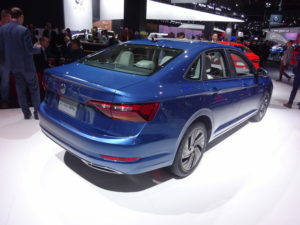 Anderson didn’t provide reasons for every product on why VW felt an third-party variant would be unacceptable, aside from the general observation that the OEM had tested and proven its own stuff worked. However, the explanations offered on a few of the items suggest potential reasons for the others. 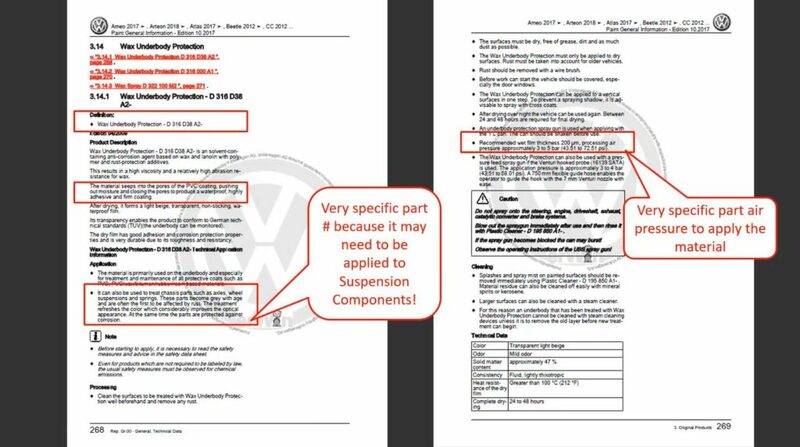 VW repair procedures themselves might explain the product’s role further, based on the “Application” section of a couple of substances mentioned in the broadcast. Suspension fasteners are often one-time use parts because they’ve been coated with a corrosion-resistant substance, according to Anderson. The act of removing them breaks the coating and will start the corrosion process, he said. VW’s replacement fasteners might come with such a coating as well, Anderson said. If a shop goes to the “nut and bolt bin” and just pulls out whatever’s in stock instead of buying VW-specific fasteners, “that’s a mistake,” he said. “That’s why Volkswagen wants you to use it,” he said. The substance serves as undercoating, but it also dampens the sounds of the road heard by the occupants, according to Anderson. Use a generic, and perhaps your customer’s car doesn’t sound like it did before the crash, he said. A separate wax underbody protection (No. D 316 D38 A2), can be applied to suspension parts, according to Anderson. It restores corrosion protection, but it also makes suspension parts look better for the customer, according to a Volkswagen passage Anderson highlighted. “That’s even more important,” Anderson said. The right air pressure ensures the material travels far enough inside the vehicle to protect it, he said. The lesson here seems to be that a substance designed for and sold by the OEM might have a different formulation than one available over-the-counter from your jobber. It might seem the same, but differences might exist under the surface.